Have you ever wondered how foam sacks are made? Whether you're simply curious about the manufacturing process or are thinking about making a foam sack for your next DIY project, check out the steps we take to fulfill customer orders. Pull a foam "bun" of the desired material from the warehouse. Buns are huge blocks of foam that typically measure 76" x 82" x 39" and are available in different foam types, including conventional foam, charcoal foam, memory foam, and dryfast foam. 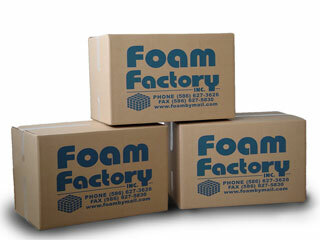 Foam sacks are made from a blend of our conventional foams. Run the bun through an industrial shredder. After feeding the bun through one of our onsite shredders, we end up with enough new shredded foam filling to make a sack of the required size. Stuff the shredded foam into a liner. 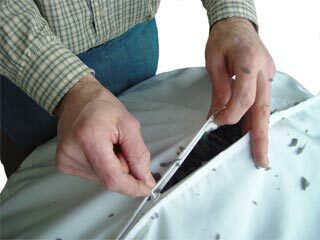 We have pre-made 100% cotton twill liners available in six different sizes ranging from 3ft to 8ft. They are designed to fit inside the pre-filled foam sacks we offer, and come with a zipper for easy filling, maintenance, and replacement. Put the filled liner into the customer's cover of choice. Customers may select a hand-sewn passion suede cover in one of 12 colors. Passion suede is ultra-soft yet durable, and is made from 100% shrink-resistant micro-polyester fiber. It feels just like suede at a fraction of the price! We can also sew custom covers in non-standard shapes and sizes for special orders. 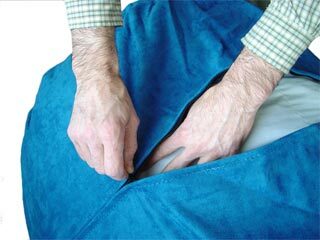 All covers are machine washable and zippered for easy removal and washing. Compress the completed foam sack and box it for shipping. Our foam sacks can be up to eight feet long, which means we must compress them prior to boxing and shipping. 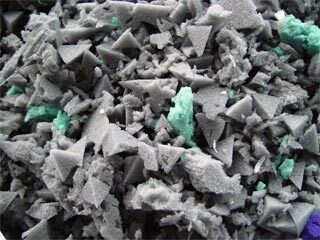 But because we use such high-quality materials to begin with, this compression does not have any negative effects on the foam filling. Our shredded foam is very resilient and will begin to return to its original shape and size immediately upon unboxing (though it may take anywhere from several hours to a few days to fully expand). Once the foam sack has fully expanded, it will be ready to use in your entertainment room, child's bedroom, dorm room, or any other interior space where comfortable and casual seating is needed. When you're ready to purchase a single-seater foam sack, a multi-seat foam sack, a foam sack in a custom shape or size, or just the materials required for a DIY foam sack, Foam Factory is standing by to take your order.